Lower Decatur Street, New Orleans – Shopping, Dining, Entertainment, and More. Shopping, Dining, Entertainment, and More. This information is being sent out as a community service. drivers should plan to avoid crossing those streets. You know the date. You know the fireworks. Come do New Years properly on Lower Decatur at Molly’s. Just steps from the levee, Molly’s is the perfect meeting place to watch the show. This evening, in the Lindy C. Boggs International Conference Center at the University of New Orleans, Maximo’s own head chef, Thomas Woods, along with two other noted local chefs, will be participating in Top Chef NOLA, a cook-off fundraiser benefiting New Beginnings School Foundation. Their mission is to raise awareness about the dangers of childhood obesity by promoting healthy eating all while supporting public education. Chefs will be preparing dishes of classic school lunch meals with an added gourmet twist. Earlier this week, Chef Woods was featured on channel 4 news to promote the event and performed an on-air cooking demonstration where he prepared his signature Chili Glazed Scallops. We couldn’t be prouder…go get ‘em chef! On Wednesday, July 28, a production will be filming at the corner of Decatur and Barracks. Parking along parts of those blocks will be restricted from noon to midnight. There may also be intermittent traffic closures on those blocks. That’s the corner by Cafe Envie and the U.S. Mint. Does anyone know what they are filming? Thanks to the VCPORA Weekly update email for the tip. The Lower Decatur neighborhood was featured in an 18 part photo series of New Orleans neighborhoods by Bill Ives. The photos were taken in February of 2010. 3rd Annual Black Tie/Black Out! All your favorites- Flogging, Spanking, Drinking and generalized Debauchery along with Glow-in-the-Dark Body Painting! And we’re even spraying down the St. Andrew’s Cross for a little glow action (the first time furniture will be used at this event!) So I guess now the only question is… What do you wanna do in the dark? 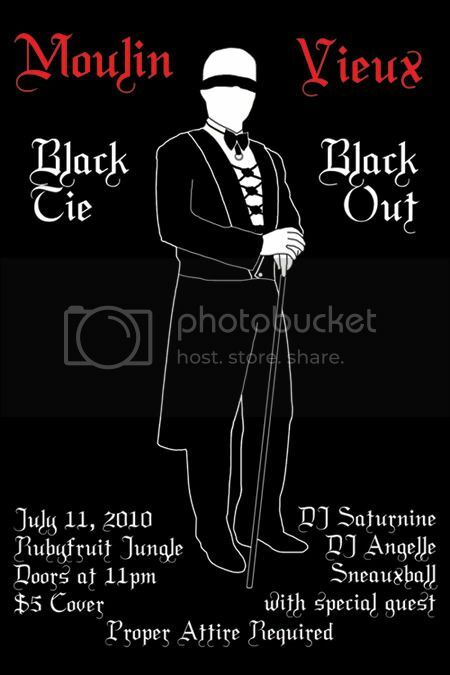 Posted on July 5, 2010 July 5, 2010 Author skipandgonakedCategories Events, LiveJournalTags Rubyfruit Jungle1 Comment on 3rd Annual Black Tie/Black Out! July 10th, at Pravda, 1113 Decatur. 10pm til we burn out! The only free fire performance show in the city!